Why Have I Been Charged With DWI in Mercer County? Home / Criminal Defense / Why Have I Been Charged With DWI in Mercer County? Because of the quantity and possibly disastrous consequences of drunk driving accidents law enforcement is often aggressive to enforce drunk driving laws in Philadelphia and New Jersey. Most people who contest DWI charges will state that they did not feel drunk or consumed too little to be considered intoxicated. Contrary to popular belief determining level of intoxication it is not an exact science as the effects of alcohol can vary from person to person. However it is important to remember that being charged with DWI is no small matter. The lawyers of Kamensky, Cohen & Riechelson have over four decades of experience defending our clients who are facing DWI charges or who have been injured in accidents caused by an impaired drivers in New Jersey in towns like Trenton, Princeton, Lawrence, Pennington and across Mercer County. We will help you through the often complicated legal process with the goal of defending your freedom, your finances as well as your driving privileges. When alcohol is consumed, it is absorbed directly into the blood. Unlike when you eat food, there is no digestive process where alcohol is processed in your stomach before entering your bloodstream. This is why the effects of alcohol are so quickly felt. This is very important to remember if you plan to drive soon after drinking. You may feel not feel intoxicated when you begin driving and then quickly begin feeling “buzzed” after you have started driving. Intoxication is scientifically defined as a state in which a person’s mental and physical abilities are impaired by any substance including alcohol. This is usually expressed as a percentage, known as blood alcohol concentration (BAC).The legal limit for intoxication in Pennsylvania as well as New Jersey is 0.08%, which legally allowed to be determined by a breathalyzer, a blood test, or a urinalysis. The cardiovascular system: blood will flow away from the internal organs toward the surface of the skin, lowering your core body temperature. In addition both heart rate and blood pressure increase. The nervous system: the activity in your brain slows down, making reflexes and decision making slower as well. Moreover, you are less coordinated, sensations are weaker, and perception is unclear. The digestive system: too much alcohol in your stomach may cause vomiting and digestive cramping. One must remember that these symptoms are different for each person. It is also important to remember that these effects can come on quickly or slowly, depending on the person. Police officers typically use the standard breath testing device in New Jersey which is the Alcotest 7110 manufactured by Draeger. If you are suspected of operating a vehicle with a BAC of 0.08% or higher, an officer can ask you to submit to a breath test. 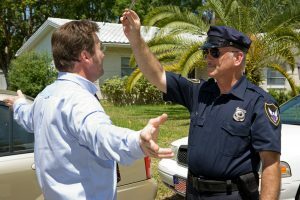 Under New Jersey’s Implied Consent Law, as well as Pennsylvania’s Implied Consent Law, you implicitly agree to take a breath test by operating a motor vehicle. If the breath test or any other examination finds you over the limit you will be charged with DWI. Should you do find yourself charged with a DWI in Pennsylvania or New Jersey, the penalties you face are severe. They include loss of driver’s licence, fines and even jail time. These are all more severe for repeat offenders. An experienced and skilled DWI attorney is critical at such a time. The drunk driving defense attorneys of Kamensky, Cohen & Riechelson have extensive experience defending clients charged with DWi as well as those injured by drunk drivers in Mercer County including Trenton, Lawrence, Princeton, and Pennington NJ. Our firm believes in aggressively defending our clients charged with DWI. And for those injured by drunk drivers, pursuing compensation for lost wages, medical bills, pain and suffering, incidental expenses, and much more. You can rely on the experience we have cultivated since opening our doors in 1972.